No games are scheduled for today (Friday) and only one game was played last night. Six games are scheduled for Saturday. Three non-conference games, with UNCG traveling to #10 Kentucky and SoCon action also tips off on Saturday with three conference games on the schedule. Mercer visits Citadel, WCU is at Furman and ETSU visits Wofford. The Samford men's basketball team took undefeated Belmont to overtime but eventually fell to the Bruins by a score of 99-93 Thursday night. The game marked Samford's first overtime game since Feb. 22, 2017, when the Bulldogs earned a 72-68 win over Chattanooga. Samford falls to 7-2 with the loss. Belmont remains undefeated at 6-0 with the victory. Purple & Gold's Catamount Player of the Game (Wake Forest) is junior forward Carlos Dotson. Carlos Dotson completed his third double-double of the season with 14 points and a career-high 16 rebounds. Of Dotson’s 16 rebounds, 13 came on the defensive glass. In scoring, Dotson hit 5 of 9 field goals and put-up 4 points from the free throw line and had 3 assists, as Dotson battled inside, and held his own inside against the much taller Deacons. Purple & Gold congratulates Carlos Dotson on his accomplishments in the Wake Forest game. 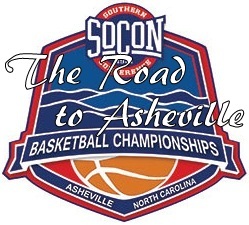 With seven games on schedule Tuesday night, the SoCon went 5-2 overall. No games are scheduled for Wednesday, and only one game is on the schedule for Thursday night. WINSTON-SALEM, N.C. -- Brandon Childress scored 20 points, Jaylen Hoard added 17, as Wake Forest beat Western Carolina 71-64 on Tuesday night. The Catamounts' upset bid was undone by poor foul shooting (16 of 32) and turnovers in the final minute. WCU led 63-62 with less than a minute remaining. But Hoard scored while being fouled, and Isaiah Mucius rebounded and put back the missed free throw to give the Demon Deacons a 66-63 lead. After an exchange of free throws made it 67-64, Hoard stole an attempted inbound pass, was fouled, and made both of his foul shots. Mucius then stole the ensuing inbound pass, sealing the outcome. LEXINGTON, Va. -- Sa'eed Nelson scored 26 points, Sam Iorio had 18 points and 14 rebounds and American beat VMI 74-64 on Tuesday night. American is off to its best start since the 2010-11 season. Marvin Bragg opened a 10-0 run and Iorio closed it for an 11-point lead with 7:37 left in the game. VMI was within 68-64 with 1:35 to play but American made 6 of 8 free throws down the stretch. Stacy Beckton Jr. had 12 rebounds as American outrebounded VMI 49-29. Nelson, a junior, notched the fourth-highest scoring game of his career. CHARLESTON, S.C. -- Kaiden Rice and Matt Frierson combined to make 15 of a school-record 23 3-pointers and Lew Stallworth added a double-double to power The Citadel to a 112-87 victory over High Point on Tuesday night. Rice scored 26 points and tied his career high with eight 3s -- in 13 tries -- and Frierson, who averages five 3-pointers per game and has hit at least one 3-pointer in 45 straight games, sank 7 of his 11 shots from distance and scored 23. Stallworth finished with 14 points, 12 assists and six rebounds, picking up the points/assists double-double for a second time this season. Connor Kern scored 17 and Zane Najdawi added 12 points, six boards and three blocked shots. The Bulldogs (5-2) topped the century mark for the third time in seven games. STATESBORO, Ga. -- Tray Boyd III scored 17 points, including a go-ahead 3-pointer, Isaiah Tisdale added 15 with five assists and East Tennessee State handed Georgia Southern its first loss of the season, 69-64 on Tuesday night. Trailing 32-27 at halftime, the Eagles took a 59-58 lead on Tookie Brown's layup with 5:17 to play, but Boyd and Patrick Good hit 3s amid an 8-3 run. Good's 3 with 38 seconds left gave the Buccaneers a 69-64 edge and Georgia Southern missed three 3-pointers before time expired. CHATTANOOGA, Tenn. -- Jerry Johnson scored a season-high 20 points with six rebounds and five steals, five players scored in double figures and Chattanooga rallied past Hiwassee 95-62 Tuesday night. David Jean-Baptiste and Donavan Toatley scored 19 points apiece, Justin Brown added 14 more on 7-for-8 shooting with eight rebounds, and Kevin Easley added 11 points for the Mocs (3-5). MACON, Ga. -- Ross Cummings had a career-high 31 points and Djordje Dimitrijevic added 15 while dishing out nine assists as Mercer dominated NAIA's Brewton-Parker, 90-65 on Tuesday night. Cummings drilled 8 of 15 from long range. Cory Kilby added 10 points while grabbing eight rebounds and Ethan Stair chipped in eight points with seven boards and four steals. GREENSBORO, N.C. -- Kaleb Hunter came off the bench to score 22 points and Isaiah Miller added another 17 points and five steals as UNC Greensboro crushed hometown rival Division III Greensboro, 111-33 on Tuesday night. The Spartans bench scored 67 points and collected 12 of the team's 23 steals. The Pride took a brief lead, 7-5 two minutes into the game, but the Spartans responded with a 16-0 run capped by a Hunter dunk with 10:51 remaining in the half. Nathan Hoover scores a career-high 30 points to lead the Wofford Terriers over South Carolina, 81-61. A great win for the Terriers and the SoCon. Seven games are scheduled for Tuesday, highlighted by the WCU at Wake Forest contest. This would be a great opportunity to help the conference RPI, unfortunately, 3 non-DI games are on the schedule tonight. Another good day for the SoCon in out-of-conference play on Sunday, winning the two games scheduled. Only one game is on the books for Monday night, but it should be a good one when Wofford travels to Columbia to play the South Carolina Gamecocks. ASHEVILLE, N.C. -- Matt Rafferty had 20 points, 11 rebounds and five assists as Jordan Lyons scored 18 points, including four 3-pointers, to lead Furman past UNC Asheville 65-51 on Sunday. Furman (7-0) is off to their best start in program history. The Paladins have won 14 of their last 15 games dating to last season. BIRMINGHAM, Ala. -- Kevion Nolan made 5 of 8 from 3-point range and scored a career-high 21 points to lead Samford to a victory over South Carolina State 77-60 ias part of the Buckeye Classic. Samford had a 20-point lead early in the second half, but SC State closed the lead to 63-58 with just less than five minutes to go. Brandon Austin scored eight points during Samford's 14-1 run to pull away for good. The SoCon had a good day in out-of-conference play on Saturday, winning 4 of the 5 scheduled games. 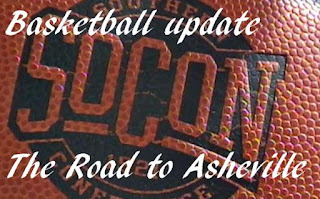 On Sunday, two games are scheduled, Furman at UNCA and SC State at Samford. TAMPA, Fla. -- Lew Stallworth tossed in 25 points and sophomore reserve Kaiden Rice scored 22 as The Citadel rallied to post an 87-81 victory over South Florida on Saturday. The Bulldogs trailed 38-35 at halftime and were down 79-75 with 2:39 remaining after LaQuincy Rideau scored six straight points for the Bulls (4-2). But Stallworth took over from there. The senior guard had a 3-point play and a layup to put The Citadel up 80-79 with 1:28 left. USF retook the lead on two free throws by David Collins, but Connor Kern scored on a layup to put the Bulldogs up by a point. Kern had a steal that led to two Stallworth free throws with 17 seconds remaining. Collins twice missed from long range in the final 7 seconds. CULLOWHEE, N.C. -- Kameron Gibson scored 19 points with a trio of 3-pointers to lead five players into double-figure scoring and Western Carolina defeated Jacksonville 77-65 on Saturday. Matt Halvorsen and Carlos Dotson scored 13 each, Marcus Thomas 11 and Onno Steger 10 for Western Carolina, which ended a two-game slide. JOHNSON CITY, Tenn. -- Isaiah Tisdale scored 18 points, Jeromy Rodriguez added 14 with eight rebounds and four assists and ETSU beat North Dakota State 79-61 on Saturday. Mladen Armus scored nine points and grabbed 13 rebounds with four assists, Tray Boyd III added 13 points and D'Andre Bernard scored 10 off the bench for the Buccaneers (5-2), who shot 59 percent to 40 percent for the Bison. NEWARK, Del. -- Francis Alonso and Isaiah Miller each scored 16 points each and UNC Greensboro held off Louisiana Tech in the closing minutes for an 80-73 victory on Saturday night at the Delaware Invitational. After Louisiana Tech cut the gap to five points with 11 seconds left, UNCG's Kyrin Galloway blocked a drive by Derric Jean and Miller hit two free throws to ice it. RALEIGH, N.C. -- Torin Dorn scored 19 points, Eric Lockett made two key free throws in the final seconds and North Carolina State held on to beat Mercer 78-74 on Saturday night. C.J. Bryce added 17 points and Markell Johnson had 16 to help the Wolfpack (6-0). They shot 45 percent, led by 15 with 7 1/2 minutes to play and withstood Mercer's late rally to begin a season with six straight wins for the first time since 2014-15. Purple & Gold's Catamount Player of the Game is freshman guard Kameron Gibson. Kameron Gibson led the Cats to a 77-65 win over Jacksonville University as he scored a game-high 19 points, hitting 7 of 14 of his field goals attempts (including 3 of 7 from 3 point land), he also hit 2 of 3 from the free throw line. Gibson pulled down 3 rebounds, he also had 1 assist and 1 steal. Purple & Gold congratulates Kameron Gibson on his accomplishments in the Jacksonville University game. 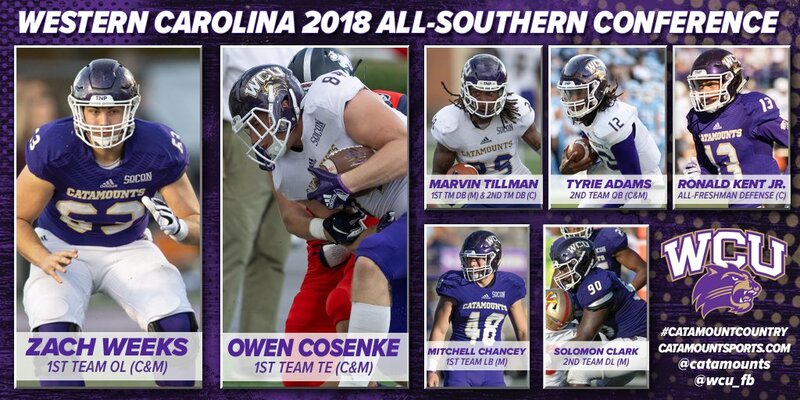 All-SoCon teams: OL Zach Weeks and TE Owen Cosenke, 1st team (Coaches & Media); QB Tyrie Adams, 2nd team (C&M); DB Marvin Tillman, 1st (M) & 2nd (C); LB Mitchell Chancey, 1st team (M); DL Solomon Clark, 2nd team (M); and DB Ronald Kent Jr. (All_Fr). In the Cat's eleventh and final regular season game of the season, Western Carolina travels to Chapel Hill for the second meeting with the Tar Heels in two years. The Cats dropped last season's game to the Tar Heels in a 65-10 setback for the short-handed Catamounts. The Series: Second meeting on the football field between these two UNC sister schools, the Cats dropped last season's game to the Tar Heels in a 65-10 setback for the short-handed Catamounts. 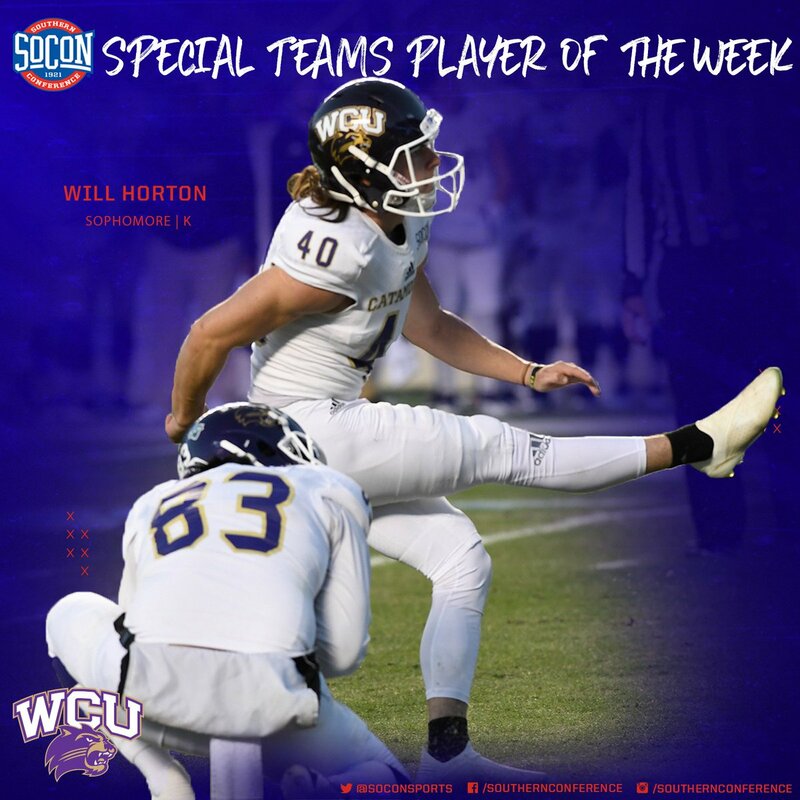 The last game played vs. UNC: Nov. 17, 2017 - Catamount Football Drops Season Finale at North Carolina, 65-10 - Chapel Hill, N.C. - Western Carolina senior tailback Detrez Newsome rushed for 107 yards on Saturday afternoon, eclipsing the 1,000-yard rushing mark for the season to cap his career in Cullowhee. However, it was one of the few bright spots in a disappointing finish for the short-handed Catamounts. North Carolina (3-8) erupted for 35 points in a decisive second quarter, breaking open a 7-7 game as a part of scoring 65-straight in handing Western Carolina (7-5) a 65-10 setback on Saturday afternoon at Kenan Stadium. Newsome accounted for 155 all-purpose yards, adding a team-best seven catches for 48 yards receiving to lead the Catamount offensive attack. Tyrie Adams, who played just the first half on Saturday, finished 8-for-18 for 69 yards and WCU's lone touchdown, completing a one-yard, play-action TD pass to Connell Young that capped a 61-yard drive and gave Western Carolina an early, 7-0, lead. Redshirt freshman QB Ray Smith saw his most extensive action of the year, completing 8-of-15 passes for 84 yards as the Catamounts threw for 153 through the air. 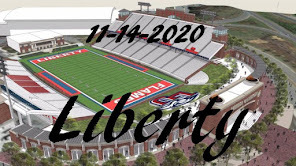 Top returnees: WR Anthony Ratliff-Williams, QB Chazz Surratt, QB Nathan Elliot, RB Jordon Brown, RB Michael Carter, TE Brandon Fritts, LB Cole Holcomb, DB K.J. Sails, DE Malik Carney, DT Aaron Crawford, DE Tomon Fox, DE Jalen Dalton, DB Myles Dorn. According to Massey, Western Carolina should be 3-8 after this game. In the tenth game of the season, The Cats remain in Cullowhee for the final home game of the 2018 season, as the Wofford Terriers visit Cullowhee. In a series that started in 1952, The Cats & Terriers have played a total of 40 times, and Western has won 2 of the last 4 games, having dropped a road game in Spartanburg last season. The league-leading Terriers were defeated at Samford last Saturday, 35-20 in Birmingham. "It is disappointing to say the least," said Wofford head coach Josh Conklin. "We had our chances for sure. When you face a team like this you have to score points on offense and we didn't do a good enough job on that. 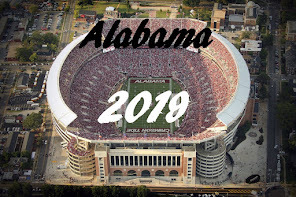 We didn't play well enough on special teams and on defense we knew we were going to give up some explosive plays, but you can't let those explosive plays be for touchdowns. It wasn't a good enough effort all the way around in terms of the execution." Wofford is in 4th place in scoring offense, with 30.3 ppg (WCU is 2d at 33.1 ppg). The Terriers are in second place in scoring defense, giving up only 20.3 ppg (WCU is in 8th place giving up 40.4 ppg). Wofford is in first place in rushing offense with 338.3 ypg (WCU is 3d with 220.9 ypg). The Terriers are also in first place in rushing defense, giving up only an average of 87 ypg (the Cats are in 7th place, giving up 218 yards per game). Game prediction: Per the Massey Ratings, the Cats have a 14% probability of winning (28-42) over the Terriers. According to Massey, Western Carolina should be 3-7 after this game. It would be very difficult to disagree with that prediction.